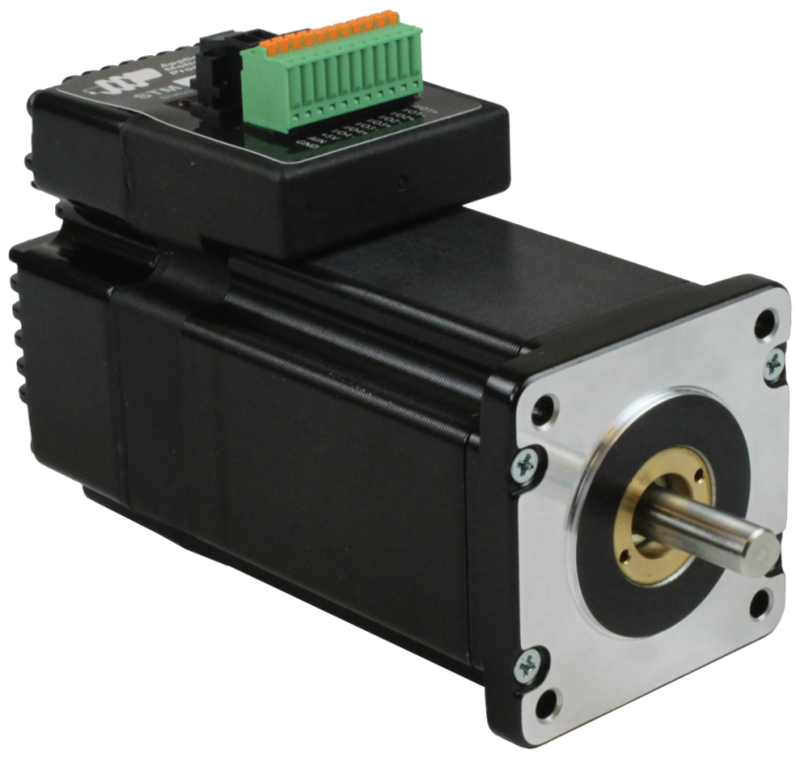 The STM24QF-3AN integrated stepper is a drive+motor unit, fusing a NEMA 24 step motor and a sophisticated, 6.0 A/phase (peak-of-sine) step motor drive into a single device. Power to the drive, located at the rear of the motor, must be supplied by an external DC supply. See Related and Recommended Products below for compatible 24 and 48 volt DC power supplies. 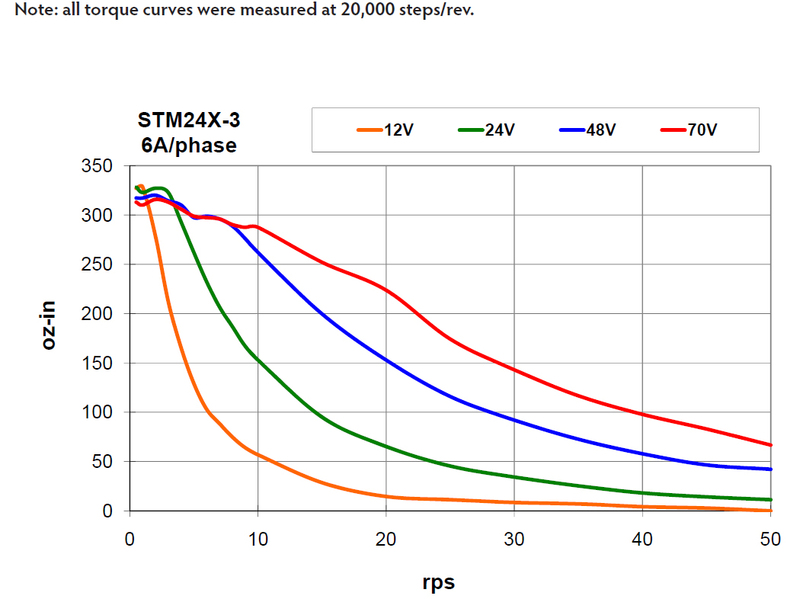 The STM24QF-3AN integrated stepper can operate in all of the same control modes as S models, plus the ability to run a Q program stored in non-volatile memory. Q programs are created using Applied Motion’s Q Programmer™ software, which provides powerful commands for motion, I/O, conditional processing, multi-tasking, math functions, and more. All STM24 integrated steppers are setup and configured using Applied Motion’s ST Configurator™ software. The STM24QF-3AN comes with 4 digital I/O points, called Flex I/O points, because each point can be individually defined as an input or an output. As inputs, the Flex I/O points accept signals of 5-24 VDC and can be used for connecting pulse & direction signals, end-of-travel limit switches, jog switches, quadrature encoder signals, PLC outputs, sensors, or many other signal types. When defined as digital outputs, the Flex I/O points can be connected to PLC inputs, counters, lights, relays, or other devices. The unit also comes with 1 analog input that accepts 0-5 VDC signals, which can be used for velocity and position control. The STM24QF-3AN comes with an RS-232 port for programming and serial communications.